Sitting just south of the bustling Green Hills area is its equally beautiful and proud neighbor Forest Hills. With its large, manicured lawns, quiet streets, and gorgeous natural vegetation, Forest Hills draws residents for its beauty and convenience. The neighborhood is well known for its ample array of large, custom ranchers, but it’s the oversized mansions and their well-known inhabitants that are hard to miss. 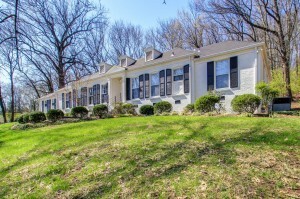 What the neighborhood boasts in appearance it also boasts in convenience as the area offers quick access to the modern day amenities on Charlotte Pike and in Brentwood. If you’re hoping to walk to dinner, you may want to look elsewhere as the lack of commercial amenities in Forest Hills is what gives it its unbeatable residential feel. Prices do vary greatly by size, but no matter what kind of plot you’re looking for, expect a cover charge just for entering this well-known zip code.